QUICK NOTE: The grammar and spelling may not be perfect as this was written while in bed. If you are a perfectionist, then success may not be for you as perfectionism is simply procrastination in a pretty bow. However, IF you like making MONEY and real content and can get past simple judgements, then this BLOG IS FOR YOU!! Buying an apartment complex is considered by many the apex of #realestate #investing. After several flips the purchase of my first apartment complex was a dream come true. 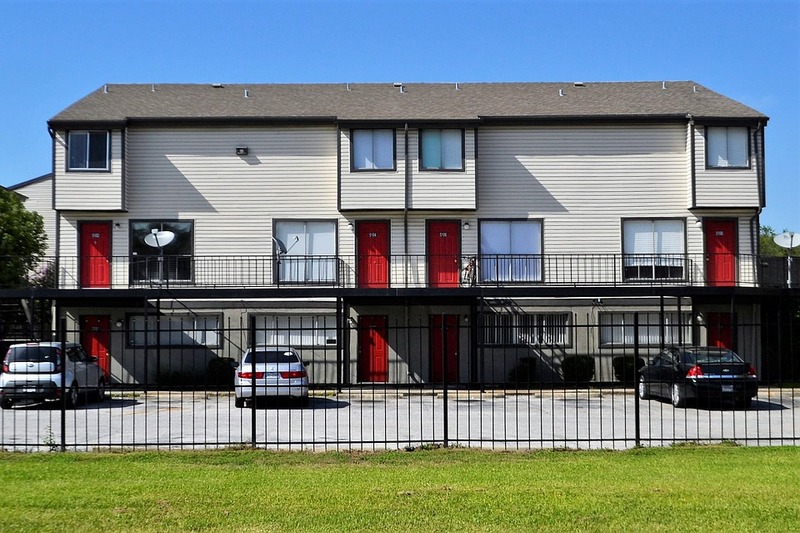 It was a 13 unit little beauty in Corpus Christi, Texas and provided incredible residual income coming my way EVERY MONTH! It is my goal to show you HOW to evaluate a complex and FINANCE it even if you have little to no #money for a down payment. 1) Look for similar “class” apartments. “Class” is valued by year, upgrades, rent collections and location to name a few. Look for properties on the same side of town. For starters split the city in quarters and look for properties in your “quarter”. 2) Rent Rolls are the second most important component of establishing a value. Look at 6 month to 12 month renters. Month to month renters are of little value to a lender when you’re looking for financing since commitment is not high on the renters list of importance. Many times the value of the complex is the monthly sum total of the long terms rents x 100. It’s not a perfect formula but rather a quick rule of thumb. 3) Take the county Tax Assesors valuation and multiply it x 20%. This is the LEAST perfect formula but when combined with Steps 1 and 2 creates a VERY potent evaluation formula for a quick assessment of what a bank wants to know what in order to lend money on an apartment complex. DO: Engage a professional commercial property inspector. There are many hidden repairs on a large commercial complex, knowing and understanding the costs of these are critical for you’re success. You should NEVER be afraid of these and being educated on the costs will prevent the ignorance of unfounded fear. DO: Engage a professional appraiser. An Appraiser will help ensure the value of your future investment. Never pay present market value of an apartment complex UNLESS there is MASSIVE upside potential for increasing rents thus increasing values. DO: Make sure all the MAJORS are inspected and protected! At the #ArmandoMontelongo Headquarters we have an 88,000 sq ft commercial complex which we heavily inspected the MAJORS: HVAC, electrical, structural, communication systems, roof and water lines before our purchase of what is now our headquarters. DO: Get a history of insurance claims. Find out if the building has losses that have not been reimbursed or repaired. If any losses also known as damages have not been repaired then this is a negotiation point between you and the seller as the seller may have been reimbursed for these costs by their insurance company. If the repairs to those losses have not been completed then this is a cost you will eventually bear so you will want to consider this in the negotiation of the sale. DON’T: Be a “Do It Your Selfer.” That is for TV only. The smart, educated and wealthy minded investor works with a team of inspectors, appraisers, accountants (or at least understands rent rolls and profit/loss statements). The term of the “self-made millionaire” is the ideology of egotistical ignorant investors who are sure to get burned. This is easy to avoid with education, a smart team and a plan. DON’T: Go by your gut. The truth of EVERY #realestate deal, whether it’s an #apartment complex or a #houseflip is in the numbers. Numbers don’t lie so take the rent rolls and make sure they are going to cover your #finance costs especially if you’re a new #investor. DON’T: Ask for the advice of friends and family unless they are rich. How can a person who’s only made $50,000.00 a year give you sound advice on a $600,000.00 or $6,000,000.00 apartment complex. They only thing they can advise you on is their personal fears. IMPORTANT: When a garage was my home and food stamps was my income, the thought of owning an apartment complex seemed WAY too big a goal for myself. Remember “that which a mind will think, the person will become.” Had that phrase sunk into my subconscious mind earlier on, a garage would of never been my home and riches would of come much sooner. Sometimes it’s much easier to believe in the impossible versus the possible because the “muscle” of impossible has received much more exercise than the “muscle” of belief. The muscle of belief (such as the thought of owning a 30-unit or 300-unit apartment complex) is nothing more than seeing the vision, reinforcing the vision, then acting on the vision. The same exact order happens with disbelief. We envision our success or failures and the choice is completely ours. Many will never go after an apartment complex thinking they could “never own such a thing” because commercial #realestate is the game of the ultra rich. Not knowing that usually it is usually many small investors putting their money in a REIT (Real Estate Investment Trust) as a pool of money with other uneducated (though maybe accredited investors) looking for a place to get an 8% return on their money. This gives an AMAZING edge to the hungry, educated investor willing to do the legwork him/herself as the upside for a potential deal is much better. Go after the deal you think you will never get, the impossible deal. The thought of owning MULTIPLE commercial properties including an 88,000.00 sq. ft. building was a dream to me…. A dream worth realizing, having and owning.